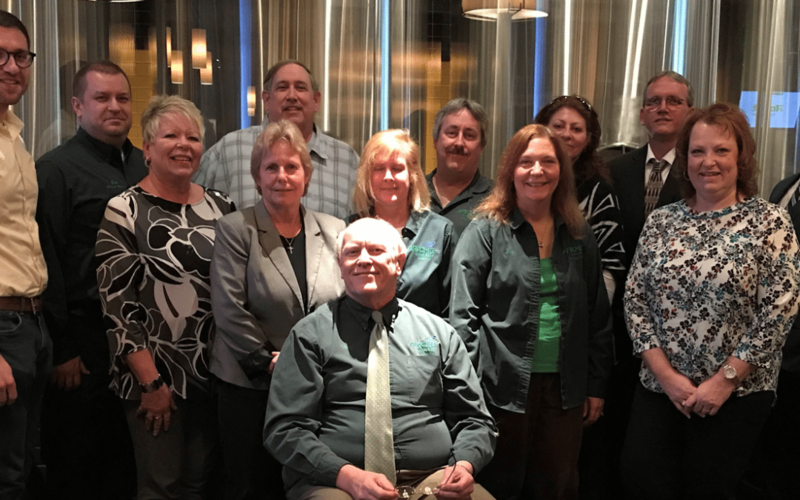 The leadership of Erie 1 BOCES Local 2567 met for its annual Executive Board dinner on Tuesday, May 9. Officers and staff from Council 66, including 2nd Vice President Rich Canazzi and Recording Secretary Barbara Zarpentine, were also in attendance at the dinner as part of the Council’s continuing outreach to the Locals. President Gary Hyla said that the dinner is “our Local’s way of showing appreciation to our eBoard members for all that they do for our Local all year long.” A range of topics were discussed, including the “Sick Leave Donation” that the Local included in their contract for the past eight years. The “Sick Leave Donation” benefit allows all AFSCME brothers and sisters to donate a small portion of their accumulated sick time to someone, or their family members, who have life-threatening illnesses or injuries, and do not have a large enough sick leave remaining. When asked how they were able to keep this important provision in their contract, Hyla said that the success of the sick leave donation benefit is obvious. “They said it couldn’t work, but we made it work,” said Hyla. The sick leave donation benefit is one of several ways the union supports its members. Local 2567 also awards scholarships, donates to BOCES-sponsored fundraising events that benefit local charities, has an active Sunshine Club and will be hosting its annual Food Truck Rodeo on Tuesday, August 15 (11:30am-1:30pm) at the Erie 1 BOCES office at 355 Harlem Road in West Seneca.